Download Destined for War ebook. Destined for War: Can America and China Escape Thucydides’s Trap? CHINA AND THE UNITED STATES ARE HEADING TOWARD A WAR NEITHER WANTS. The reason is Thucydides’s Trap, a deadly pattern of structural stress that results when a rising power challenges a ruling one. This phenomenon is as old as history itself. About the Peloponnesian War that devastated ancient Greece, the historian Thucydides explained: “It was the rise of Athens and the fear that this instilled in Sparta that made war inevitable.” Over the past 500 years, these conditions have occurred sixteen times. War broke out in twelve of them. Today, as an unstoppable China approaches an immovable America and both Xi Jinping and Donald Trump promise to make their countries “great again,” the seventeenth case looks grim. Unless China is willing to scale back its ambitions or Washington can accept becoming number two in the Pacific, a trade conflict, cyberattack, or accident at sea could soon escalate into all-out war. 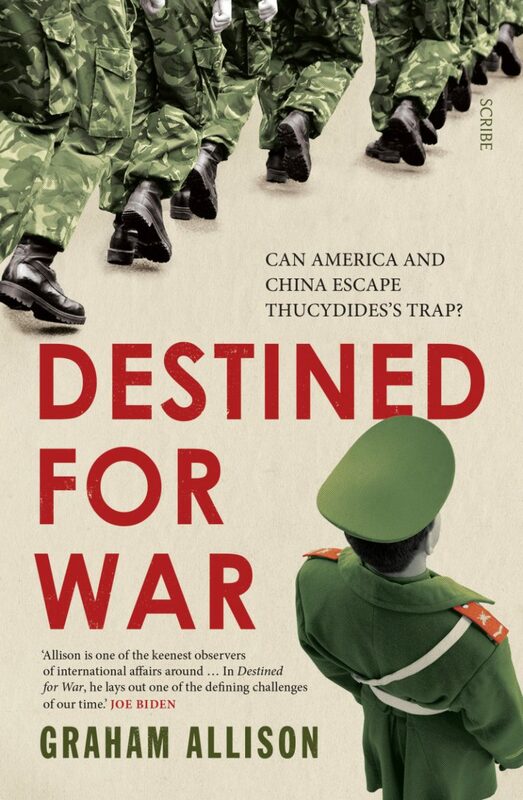 In Destined for War, the eminent Harvard scholar Graham Allison explains why Thucydides’s Trap is the best lens for understanding U.S.-China relations in the twenty-first century. Through uncanny historical parallels and war scenarios, he shows how close we are to the unthinkable. Yet, stressing that war is not inevitable, Allison also reveals how clashing powers have kept the peace in the past — and what painful steps the United States and China must take to avoid disaster today. GRAHAM ALLISON is director of Harvard Kennedy School’s Belfer Center for Science and International Affairs and the best-selling author of LeeKuan Yew: The Grand Master’s Insights on China, the United States, and the World; Nuclear Terrorism: The Ultimate Preventable Catastrophe; and Essence of Decision: Explaining the Cuban Missile Crisis. Founding dean of the Harvard Kennedy School, Dr. Allison has served as Assistant Secretary of Defense and advised the secretaries of defense under every president from Reagan to Obama. He lives in Belmont, Massachusetts.